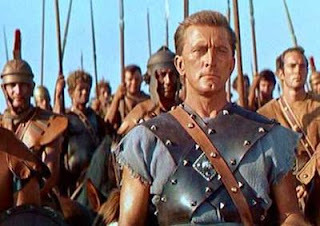 Spartacus had better working conditions than Amazon employees. I know, I know. I hear your voices. I hear, "Oleg you cannot be credible if you tell such absurd". Earlier people blamed me for comparison of Jeff and Adolf [Hitler]. I am so sorry. Now I say: "Jeff forgive me. I placed you at the same line with Adolf". I was wrong. I misrepresented the facts. The true was not like that. Jeff was not at the same line with Adolf. Jeff is worse than Adolf. Hitler committed genocide based on the racial discrimination. Jeff places people on the risk of death just because he is interested. He is interested what is the natural limit of human? How much weight can he lift? How many days he can work without sleeping? How many injuries can he get before dying? Even Adolf did not perform such inhuman experiment. People tell to me: Jeff didn't kill children. Well, technically Hitler did not shoot any single child. He placed them in poisonous gas cameras. Jeff placed people in bruising workplaces. While employees suffered at work, their children suffered at home. Because employees were prevented to treat sick children. Jews died in gas cameras. Amazon employees committed suicides at their workplaces. Some children of Amazon employees died. I know, you want to read it again. I know, you think somebody will sue me for defamation. I know, you work for Amazon and your child could be safe. But not for everybody. Just to be clear, I will confirm and emphasize this multiple times. Children of Amazon employees died. Hitler killed millions. Amazon employs half a million. But Jeff has plenty of time yet. Company has monopoly power, financial resources, media connections and affects politicians. It is hard to stop them. Amazon grows. Company has perfect perspectives to get at Adolf level in the future. Let's get back to Spartacus. Slave owner was interested to feed his slaves and treat them. They costed money to him. They were useful because they did hard job. They could be sold for money. Slave owner was not interested in dead slaves. Yes, slave owner could punish his slaves for being lazy e g. But he considered them in the same way as good farmer considers his cows. Good farmer hopes to get milk from cow for a years, bad farmer kills his cows every day. Amazon treats its employees worse than slaves. Just for experiment (curiosity, game), employees are forced to work until the "limit". And the limit is never reachable, according to official company mission. The only way to know the limit is the moment of death. In the wild nature, predator does not kill victim for "game", for "experiment". Amazon is the behemoth. This monster is worse than slave owner, worse than Hitler, worse than scary animal predators. We learn history and judging offenders of the past. But the real offender, the worst offender of the human history is right here, right there in front of our eyes. Hidden behind the wall of lying. Haha. Maybe your banner text can be changed to: "Is Jeff worse than Hitler? Learn more at: https://sites.google.com/site/thefaceofamazon. Make pledge on my croudjustice page." Oleg, you’re real human being a good hearted person I applaud you and you have my encouragements because what you are doing today can save thousands of people in the world so yes and yes let’s protest against human oppression and exploitation at work. Amazon must go to court and pay its debts to his employees and operate the right way ! !